Sophia Surenovna McKett is of mixed parentage and, being half Russian, quarter Sri Lankan, quarter English, has had exposure to the music and cultures of both East and West. She began music studies at the age of 6 and gave her first piano recital at the age of 11 at the Russian Cultural Centre in Colombo. Further studies continued at the Gnessin Academy of Music, Moscow, whose alumni include pianist Evgeny Kissin and conductor Evgeny Svethlanov. There she was trained by professors Margarita Volkova (solo), Leonid Block (chamber ensemble) and Victor Vlasov (voice accompaniment). During her six years in Moscow Sophia actively participated in Academy concerts performing both in chamber ensembles and solo. After graduating with a Master’s degree she went on to perform in wide ranging concerts both in Russia and Sri Lanka, where she appeared as soloist with the Sri Lanka Symphony Orchestra. 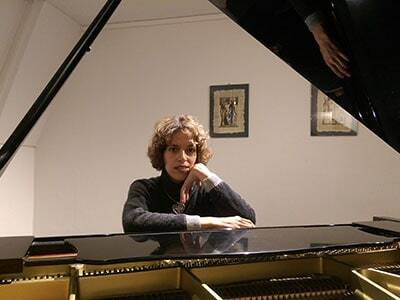 The following year Sophia completed the master classes of the legendary pianist Vitaly Margulis in Freiburg, Germany. 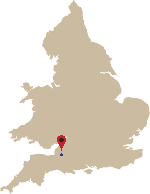 Now settled in England Sophia has appeared in many solo concerts including at St.George’s, Brandon Hill as a participant of a master class held by Mikhail Kazakevich. Sophia has regularly accompanied mezzo soprano Caroline MacPhie (Countess of Munster Trust scholarship winner) and has an on going piano duo partnership with pianist Giuseppe Bavetta. In 2009 Sophia worked as an accompanist at the Aberystwyth Music Festival in Wales. Shortly after she founded the Sonacri Piano Trio with violinist Naomi Rump and cellist Chris Greenhalgh with whom she has performed widely. Her most recent collaboration has been with violinist Sara Stagg. Much in demand and a sort after tutor, Sophia teaches at Wells Cathedral School, Clifton College and Badminton School where she occasionally accompanies students at competitions. Sophia also has a successful private teaching studio with many prize winning pupils and enjoys passing on the rich traditions of the Russian School of piano playing.